Printed Tape: Goedkoper Dan U Denkt! Printed Tape: Cheaper than you think! 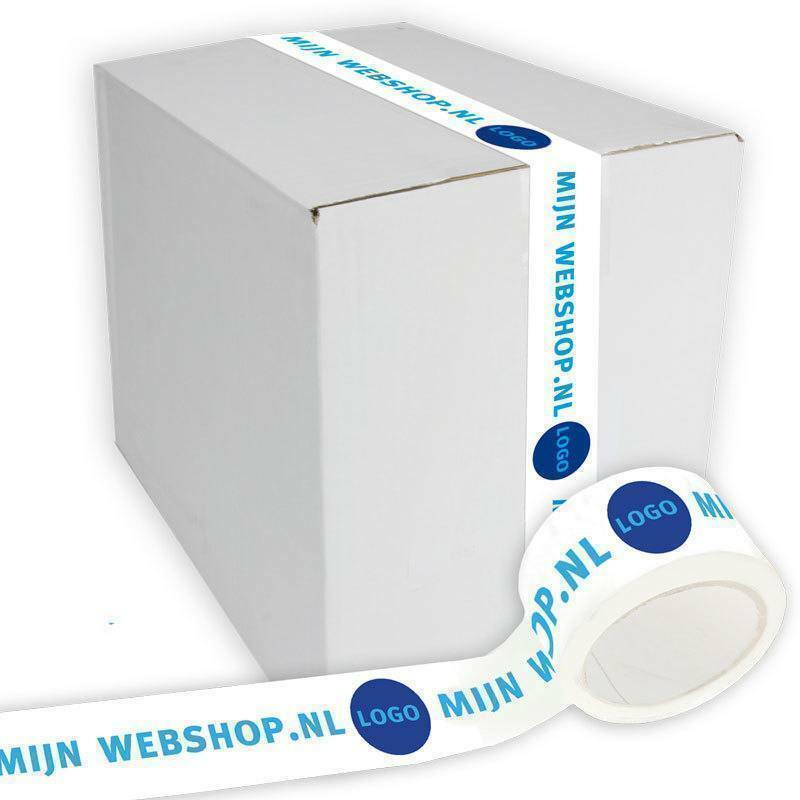 With your logo printed tape is a cheap, easy way to personalize your packaging with your house style. It gives your company a very professional appearance. Printed tape rolls are already cost-effective in small numbers. This advertising tape is usually printed using a relief printing plate, the printing form. Similar to a stamp. You will only be charged for this when you place an order for the first time. Unchanged follow-up orders are therefore cheaper because the cliché has already been created. One printing form per color is always required. Full color (4 colors CMYK) is possible but usually PMS colors are used. By default PP-acrylic or PVC tape is used for printing. The standard size is 50mm wide and 66mtr long. Standard: the background is the color of the material. The imprint is in the desired color(s). Conversely: The background of the logo is printed in the desired color. The image (usually a logo) is emphty and thus has the color of the material. The material is printed in 2 print runs: First the entire material in a color, then the logo over it.